Send them into a wonderful dream with this stunning, luxurious arrangement. 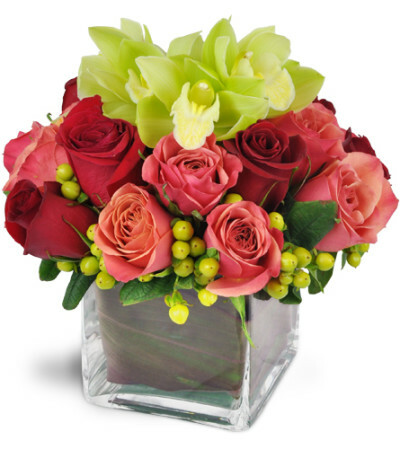 Decadent green cymbidium orchids are offset by lush coral and red roses. A superb mix of modernity and romance make this arrangement perfect for your special someone! They do beautiful work, and are very nice people. They are busy, and do not have a lot of people there. So be patient when you call. They will do their best to help you. I have had flowers delivered locally from their shop many times, and the bouquets from All Fresh are much nicer than the other florists in the area. I used All Fresh Floral for the centerpieces at my engagement party. They came out AMAZING and they were really able to work with me on the price. The flowers were stunning and our guests complimented the arrangements the entire night. Very easy to work with, highly recommend! 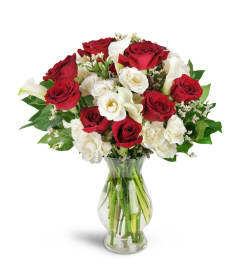 All Fresh Floral is a Lovingly Florist in Roslyn Heights. Buying local matters. Discover how Lovingly supports local florists. Copyrighted images herein are used with permission by All Fresh Floral.